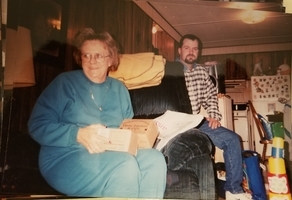 Provide comfort for the family of Nettie Nugent with a meaningful gesture of sympathy. Funeral services for Mrs. Nettie Anita Phillips Nugent will be held at 2 :00 p.m. on Tuesday, December 4, 2018 in the Chapel of Gallagher Funeral Home, Ball, Louisiana with Reverend Sammy Morrow officiating. Interment will be in Pleasant Hill Baptist Church Cemetery, Pollock, Louisiana, under the direction of Gallagher Funeral Home. Mrs. Nugent, age 75, of Montgomery, La. entered eternal rest on Saturday, December 1, 2018 at Christus St. Frances Cabrini Hospital in Alexandria, La. Mrs. Nugent was a loving mother, grandmother and great-grandmother who will be missed by all that knew and loved her. 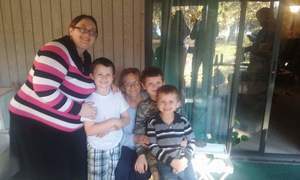 Mrs. Nugent is survived by two sons, Bryan Carroll and wife Melissa and Alan Jarrell; nine grandchildren, James Carroll, Natalie Doyle, Debra Johnson, Jessica Veatch, Mandy Burch, Tyler Scroggs, Kelsey Scroggs and the children of Juandie Jarrell, Matthew and Raeanna Jarrell; twelve great-grandchildren and numerous cousins and friends. Visitation for Mrs. Nugent will be on Tuesday, December 4, 2018 from 11:00 a.m. until 2:00 p.m. at Gallagher Funeral home, Ball, Louisiana. Friends may post online messages of condolence for the Nugent family by visiting www.gallagherfh.com. We encourage you to share your most beloved memories of Nettie here, so that the family and other loved ones can always see it. You can upload cherished photographs, or share your favorite stories, and can even comment on those shared by others. 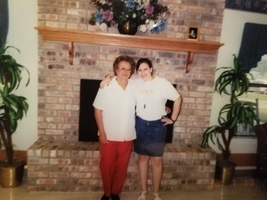 Maw maw and me at the nursing home where she worked for the last summer I was with her.